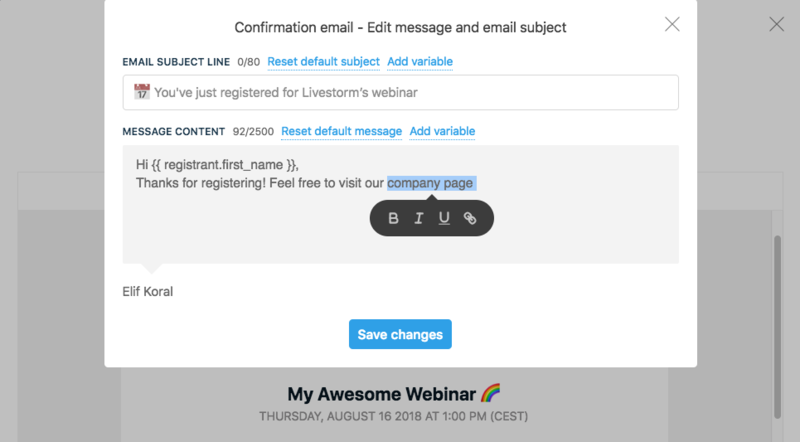 With Livestorm , you don't have to worry about reminders sent to your attendees. We take care of everything. We generate clean responsive email templates with all of the information needed and based on your branding. You can easily customize the text of these emails. Go to the Emails & notifications section of your webinar settings. Here you can choose to disable some emails we usually send to your attendees. Click on the "Preview or edit" link next to an email. Here you can preview and edit the message of any email we send to your attendees. If you would like to add a link or make a word bold when you edit the content, you can select text and a bubble will appear. If you add a link, don't forget to press Enter or it won't work. You can also edit the content of your invitation emails. 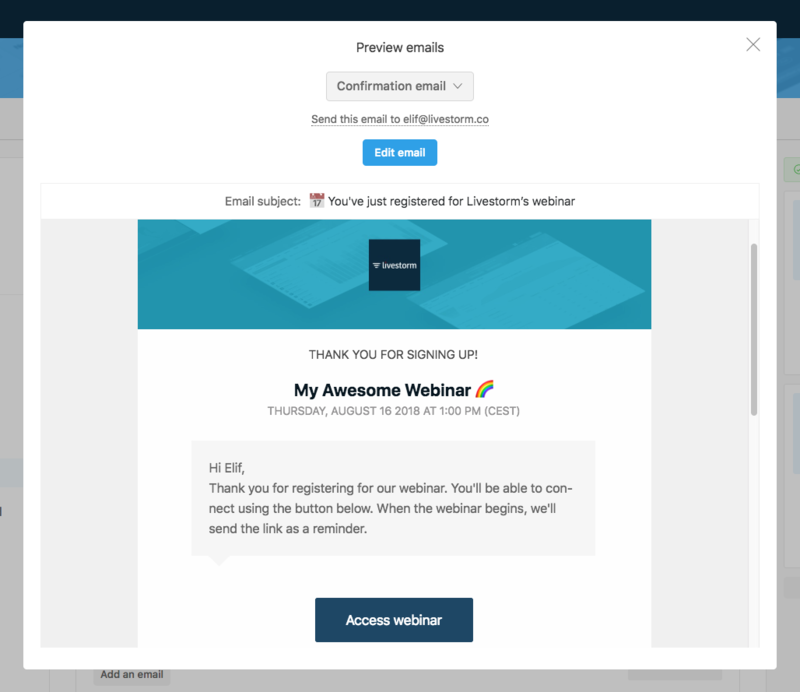 In order to edit your invitation emails, click on your webinar and then "Email invites". Click on "edit message" just like described above. You can add variables to your email notifications/ invites to personnalize your emails even further. It's super easy!